I’m basic AF. Just kidding, but I guess you should be the judge of that. Lately I’ve found a pattern in my every day clothes. I realized that I have the same shirt in 5 different colors, which makes dressing up each week pretty easy. I could sleep in with this routine I have going on! 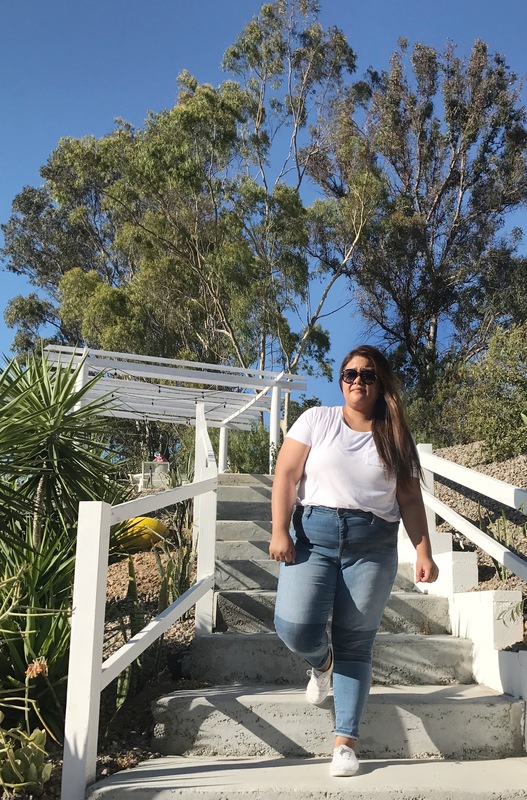 Jeans are becoming a staple in my everyday outfit, when it used to be leggings. I still throw in the leggings, but my go to are a pair of skinny jeans. I literally only had two pairs of “good” jeans aka not ripped at the thighs, but all of a sudden I ended up with at least four more pairs over the last few months. 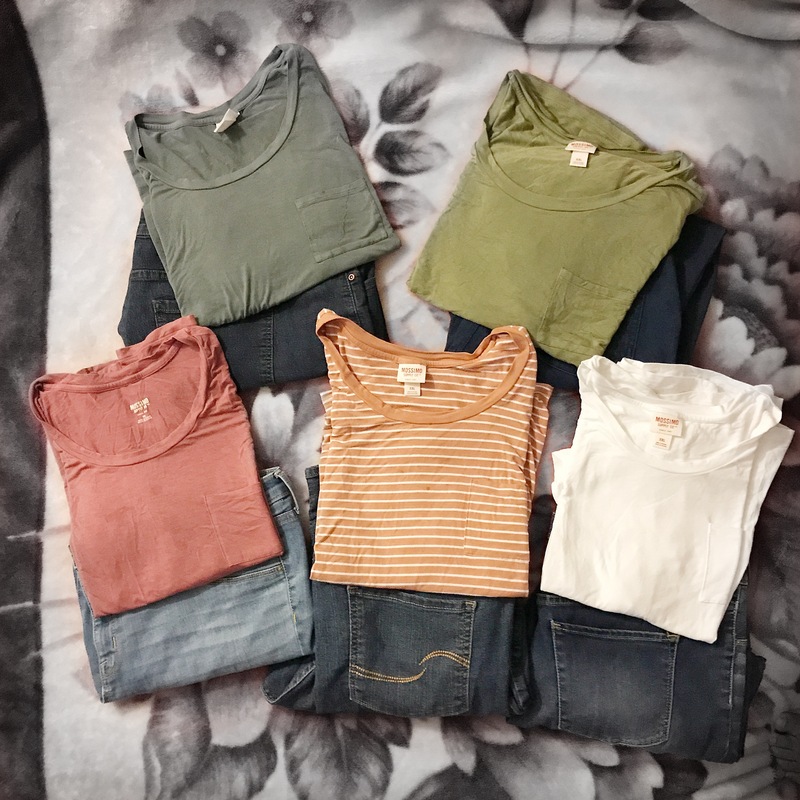 So now, I’ll go through my jeans first, then my basic leggings (black, navy, wine, purple), then do laundry and repeat. There are some tops that I think look way better with leggings and obviously there are tops I have that don’t go with leggings and are a little too short to cover my behind. It’s all about mixing and matching! Today’s post is dedicated to my recent finds and going back to basics. As mentioned earlier, I have five colors of the same crew shirt. This find comes from Target and is by Mossimo Supply Co. Normally, I don’t like to buy plain shirts, but for some reason the striped shirt called out to me first. It was on sale for $5 and then I got the white one (twice) and each time I went to Target, I found myself buying the rest. Each time they were on sale for $5. They also have other styles like v-necks, but I really like the crew shirt with the pocket. It’s soft and comfortable. I can tuck it in or I can let it fly and it’s a nice fit either way. The only thing I dislike is how it easily wrinkles, but thats what irons are for, right? I believe the regular price is $8.50, but they go on sale like every other week. A few of the colors are currently on clearance at the Target I frequently go to, and some new colors have emerged. $5 is such a good steal! Then comes the jeans. 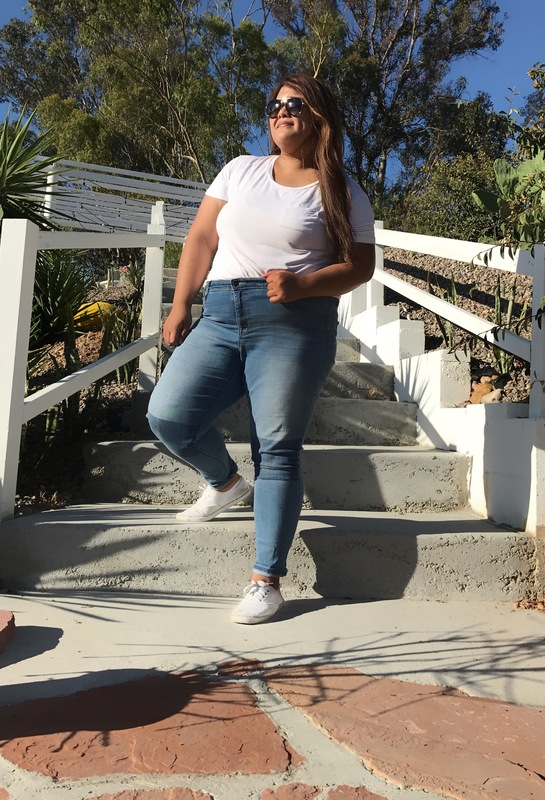 I always buy Forever 21’s plus size skinny short jeans. They last pretty long and are affordable. They are usually about $12. The dark wash doesn’t usually stain and that’s a plus. At Target, however, I’ve bought jeans in the past year under $10. They’ve all been on clearance. Denim doesn’t change much, but they do have to make room for the new washes and distressed jeans. Mossimo has been making me happy lately, but I’ve also gotten the Levi Strauss Modern Skinny pair of jeans as well. And of course jeggings from the Walmart are thrown in as well. They’re a little on the tight side, but they are under $10 as well. And that’s what matters to me! As you can tell, Forever 21 is a fave of mine, but Target also provides with really cute clothes that fit me. Does anyone else really love the crew shirts at Target that are out now? 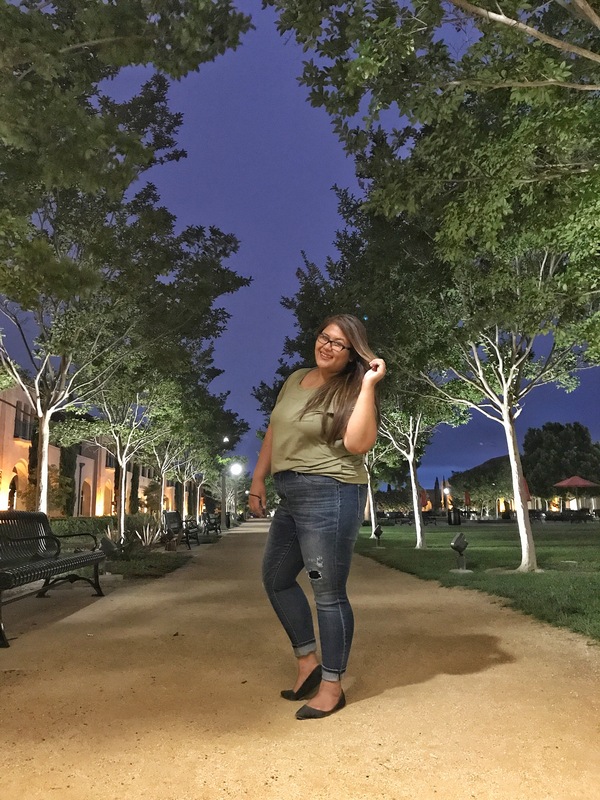 This entry was posted in A blog a day August 2017, Fashion & Style, Personal and tagged About Me, beautiful, beauty, blog, challenge, Fashion, health, life, lifestyle, love, mossimo, ootd, ootn, outfit, Personal, plus size, plus size fashion, random, Style, Target, writing on August 18, 2017 by Adele Fredeluces.